Yixin also started to provide its client for PC. But that function is restrictive at this time. 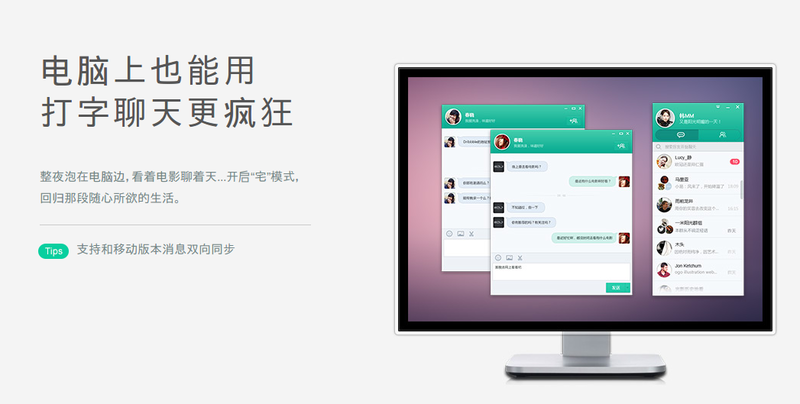 Their rival 'WeChat' have already provided its Web browser version as a PC client, but Yixin (EasyChat) also recently started to provide its PC client. 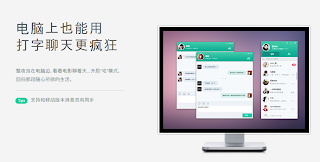 But this version is limited in the function as same as the Web browser version of WeChat now. For example, it supports only a part of the chatting function, and it doesn't support the function of using the social page, stamp, adding the new friend, voice chatting and so forth. Its help page often uses the word of 'at this version', so we may be able to expect its upgrade. But basically, Yixin has focussed to the mobile solution, so I think that it will not bring the dramatic improvement.